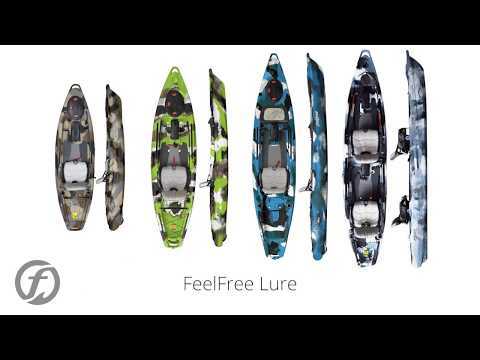 The New Lure II Tandem from Feelfree is an exciting new complement to the Lure Series of Kayaks. Based on the same amazing comfort, stability and versatility anglers demand out of a kayak - only x 2! With 2 complete cockpits featuring sonar pods, standing platform and patented Gravity Seats - the Lure II cuts no corners to offer the best for 2 anglers. Molded in handles, wheel in keel, rear storage for crate or cooler, uni-track system, rear rod holders are all standard features. Additionally, you can add the Overdrive pedal and/or motor to the rear seating position, while using the front sonar pod for depth/fish finder, you now have a serious fishing machine. The Lure II is also designed as a solo kayak from the rear seat position with a multitude of options. In the solo position you can remove the front Gravity seat providing even more room for standing and storage, add a stand up bar and overdrive, and your Lure II replaces a garage full of boats! Stand, sit high, sit low, 1 or 2 anglers, pedal, paddle, motor and go fishing…..the Lure II will be the one boat that can truly replace them all. I bought this kayak and have had it about 2 weeks. I have taken it out 4 times so far and I love it. I took it out twice by myself and the other two with a friend of mine. The only reason why i gave it a 4 is because this thing is freakin heavy and the wheel in the keel isn't great. I would highly recommend getting a cart for it. The wheel is fine for short distance as long as you can keep it balanced. This is my first kayak, so I can't really compare to others but solo paddling wasn't bad at all in my opinion. However if you are out on a windy day and have another adult with, hopefully they have a paddle as well. If not, you're in for a treat. Other than that, I enjoy it. Hope this helps. Q: It's says it weights 92 lbs. Is this with both seats in or just the boat itself? Thanks. A: The 92 pound weight is with the seats installed. Please let us know if you have any other questions! I am curious as well. I have called 2 different Feelfree shops and both gave separate answers. Q: Does the Feel Free Lure II Tandem front seat have the ability to be attached facing backwards, so both seats are facing each other? A: No, the gravity seats on these can only face forward. Q: Would it be possible to fit a trolling motor in the center hatch? A: If you have the pedal drive then yes you can. 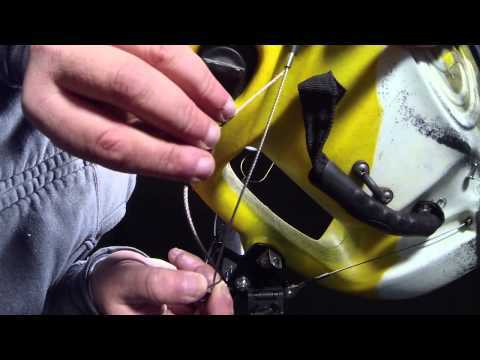 Q: Can you install two pedal systems in the Lure I'm tandem kayak? A: In theory, yes. However, we do not recommend doing this. Q: Hi, did anybody have installed a motor or engine on the kayak? thanks! A: I do not know of anyone mounting a different motor to the Lure II yet. 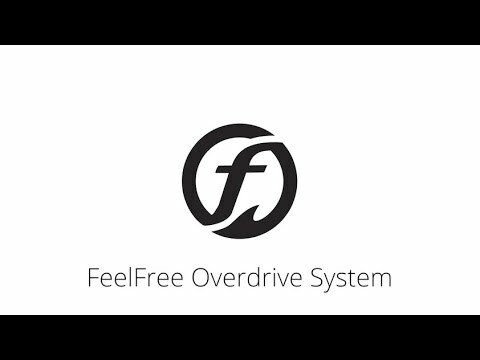 You will be able to use the Feel Free Overdrive motor with it though! Q: Can you retract the drive unit to beach the boat from ocean paddling, or would you need to remove the drive unit to approach the beach? A: Thanks for your question! The drive needs to be removed to approach the beach. Q: can you retract the pedal drive system while in the water and just use a paddle. A: Thanks for your question! The pedal drive is easily removed and added, so that you can switch between peddling and paddling as you please. Q: I read the other question about converting this to a single person kayak. My question how does it compare to the 13.5 in single mode? I was more thinking about using the front seat more so than the rear, but in either seat what would you think the paddling effort would be compared to a 13.5? As a basis of comparison, I've paddled the 11.5 given that effort. A: The 13.5 would be much better suited for solo paddling, due to weight distribution. If you were to use the tandem, the weight distribution would make it much harder to paddle. Plus, if you wanted to use a rudder, or the pedal drive on it, you would need to be in the rear. Q: Can this kayak be used as a solo kayak? I'm wondering about the stability of removing the front seat and fishing just with just the rear seat and pedal drive installed. Wondering how the weight distribution would be. A: Yes, this kayak can be used as a solo kayak. However, since the paddler will be sitting in the rear when in solo mode, the weight distribution will be more towards the rear. If you are not going to have a second paddler ever, then I would recommend the Lure 13.5.